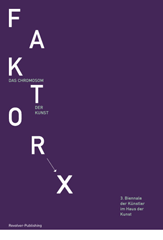 Publication published to accompany the exhibition FAKTOR X - DAS CHROMOSOM DER KUNST 3. Biennale der Künstler / FACTOR X - THE CHROMOSOME OF ART 3rd Artists' Biennial 29.07.-24.09.2017, Haus der Kunst | West Wing, Munich, Germany. Concept: Künstlerverbund im Haus der Kunst München e.V. 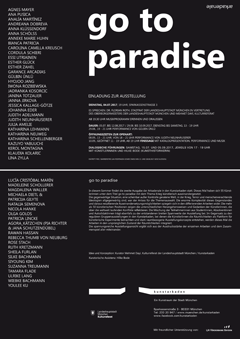 This publication accompanies the exhibition go to paradise / Arkadenale 24.07. - 10.09.2017, Kunstarkaden München. 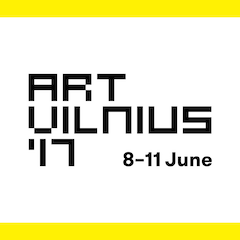 in the context of the 57th Biennale di Venezia (13 May – 26 November 2017, Venice, Italy). Personal Structures has exhibited extensively and has been several times an official part of the Venice Biennale. Organized by the GAA-Foundation and hosted by the European Cultural Centre, this exhibition presents around 200 artists from more than 40 countries. A combination of established artists and others whose oeuvre is less known. However, what they have in common is a dedication to the concepts time, space and existence. 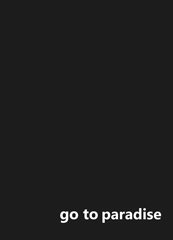 Featured artists are herman de vries, Lawrence Weiner, Yoko Ono, Arnulf Rainer, Hermann Nitsch, Francois Morellet, Ben Vautier, Joseph Kosuth and many others. The exhibition locations of the European Cultural Centre are Palazzo Mora and Palazzo Bembo. The exhibitions are open to the public from 13 May to 26 November 2017. This publication accompanies the exhibition Personal Structures in the context of the 57th Biennale di Venezia (13 May – 26 November 2017, Venice, Italy). 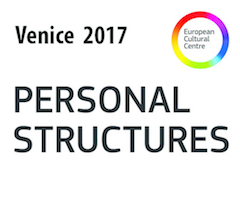 Personal Structures is organized by the GAA-Foundation and hosted by the European Cultural Centre in Venice, Italy in 2017. 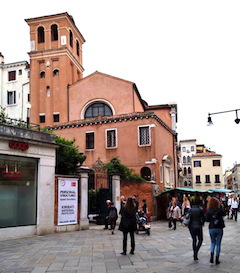 The exhibition locations of the European Cultural Centre are Palazzo Mora and Palazzo Bembo. The exhibitions are open to the public from 13 May to 26 November 2017.